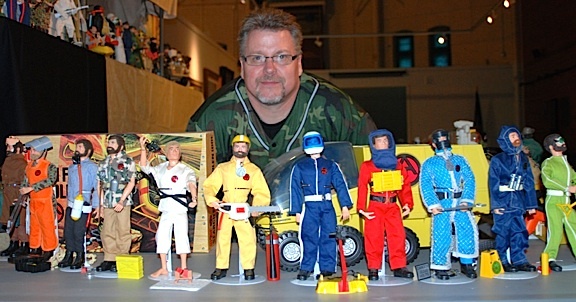 Riddle Me This, Batman: What are collectors of 1:6 scale GIjOEs to do—in 2014? 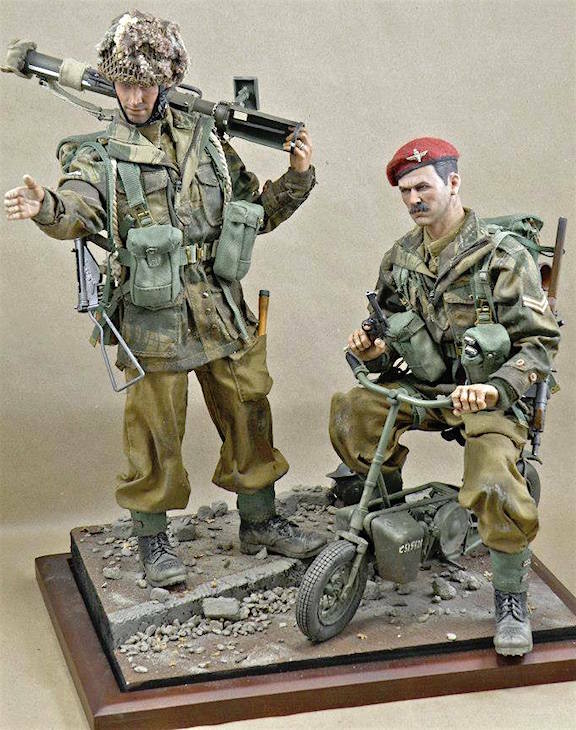 With few new 12-inch releases planned, even the simple act of going out to a toy store to pick up a “50th Anniversary Commemorative GIjOE” has been taken away from them. 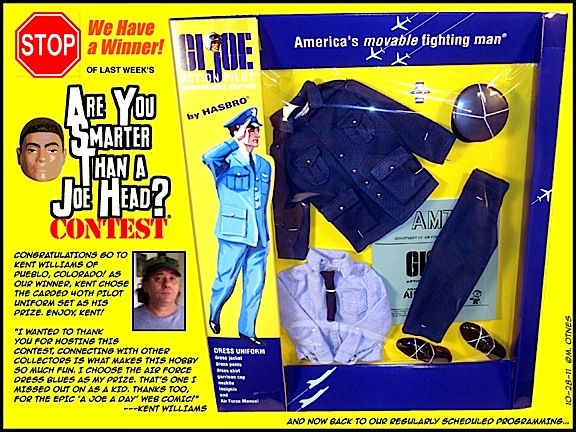 What are fans to do when Hasbro—GIjOE’s own creator(! )—barely acknowledges the iconic 12-inch line’s existence anymore, much less celebrates (in any appreciable way) its half-century of sales and enduring popularity? 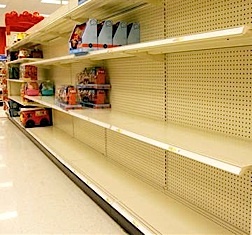 Fortunately, despite Hasbro’s laissez-faire attitude towards its former flagship brand (many would argue that Lego has now assumed that mantle), “Joeheads” around the world have begun demonstrating that they are not yet ready to lay down and surrender. 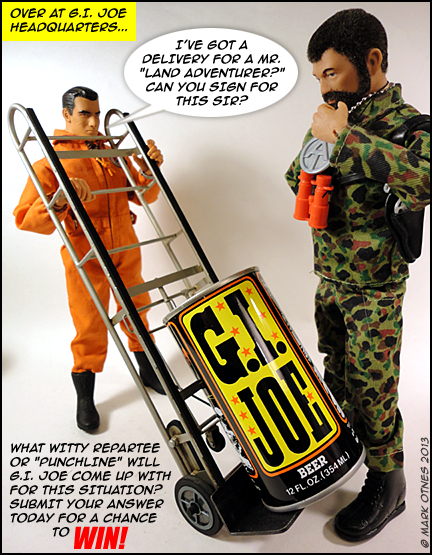 In fact, many are viewing 2014 not as the END of the epic GIjOE saga, but as the end of its beginning; preferring to look forward instead—to the NEXT 50 years of collecting! 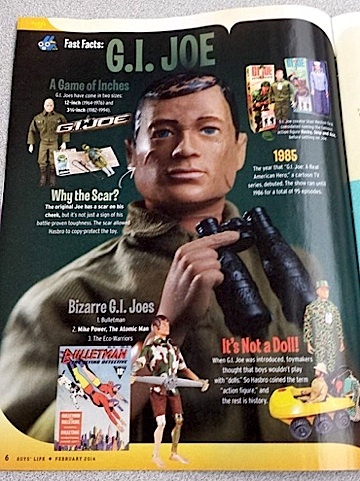 As with the first so-called “end of GIjOE” in 1978, the current disappearance of 12-inch product from store shelves and its subsequent evaporation from Hasbro’s line-up en toto, leaves little doubt that “America’s Movable Fighting Man” is (once again) entering a period of corporately-forced “product retirement.” Anxious fans and collectors are already wondering, how long will Joe be away this time? Of course, no one outside of Hasbro’s boardrooms can answer that for sure, but it probably will be quite a while before we see 12-inch GIjOEs on store shelves again. 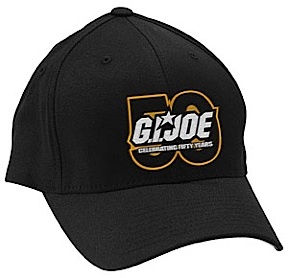 In the absence of any official leadership from Hasbro, “spearheading” GIjOE’s 50th Anniversary during 2014 has fallen to the independently-run GIjOE Collector’s Club (GIJCC). 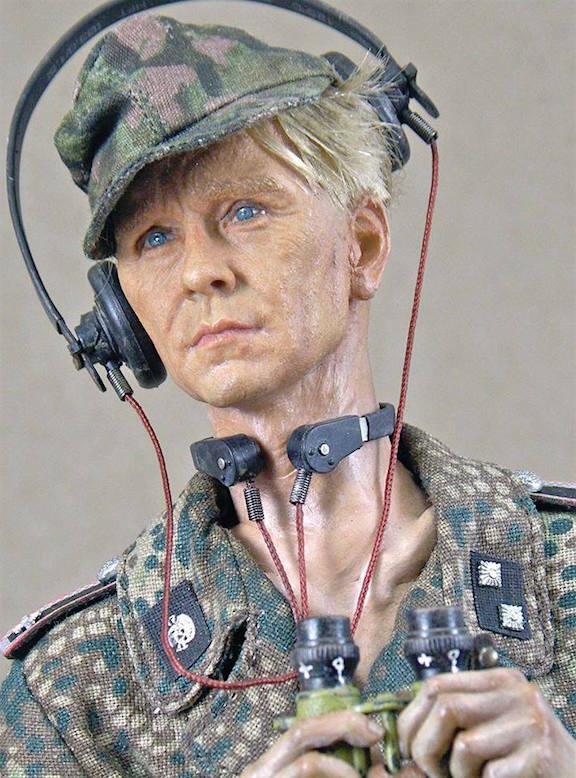 Their upcoming JoeCon 2014 in Dallas,TX, with its 12-inch “Codename: GIjOE” exclusive 2-figure set (see HERE) is the closest thing fans will see resembling anything “official” being produced for Joe’s 50th Anniversary. Depending on your perspective, this “passing of the torch” to the club can seem like a good thing or a bad thing. 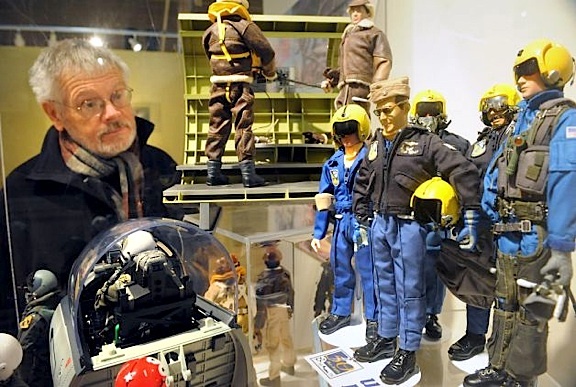 They (the club) have made no bones about their desire to merge the worlds of RAH and Cobra with that of the Vintage and Adventure Team fans, skewing conventions more and more towards collectors of “the little Joes” over the years. 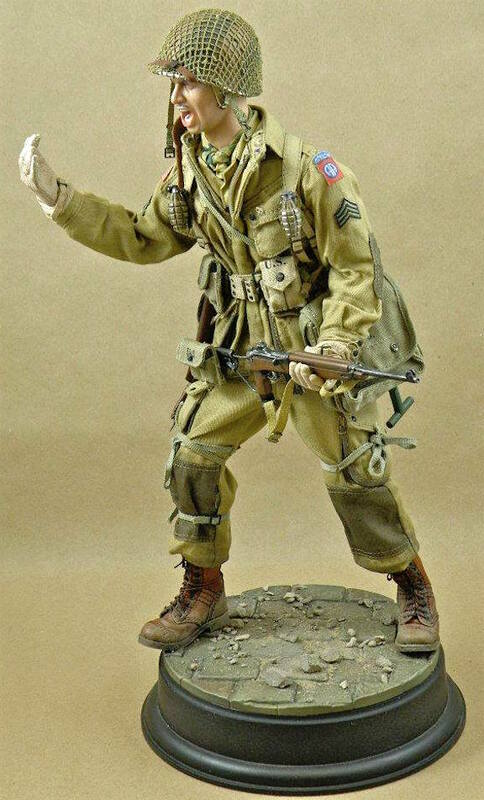 Indeed, with each passing JoeCon, collectors of 12-inch figures have felt more and more sidelined. At last year’s event in Indianapolis (see complete review HERE), it was almost embarrassingly one-sided. Remember too—that the club’s convention figures are NOT created by Hasbro. They are completely designed and created by the club (under license from Hasbro) and always in VERY limited quantities. 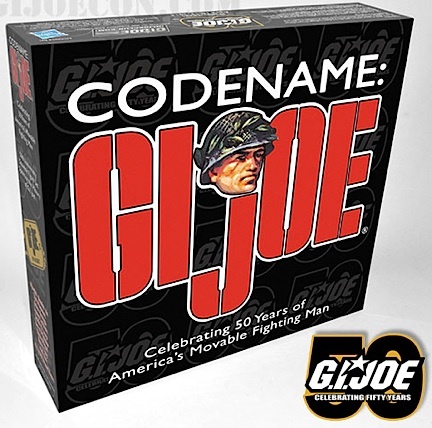 Bearing all this in mind, as the Codename: GIjOE 12-inch sets are the only “official” figures being produced for Joe’s 50th, they’re bound to sell out quickly. If you can afford to pick one up, we recommend that you (and Mr. Mastercard) act sooner, rather than later. It’s always a good idea to help spread some “Joe Karma” around, any way that you can. 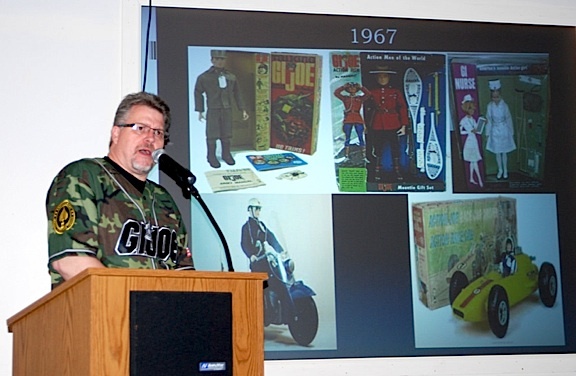 And one of the best ways fans are helping to celebrate GIjOE’s 50th Anniversary is by sharing their collection and passion for the hobby with others; hauling the best of their collections out to libraries, VFW halls and even museums; speaking about Joe collecting, and giving of their TIME—for Joe. Whatever you choose to do, if you’re waiting for Hasbro to hold your hand in 2014, you can stop waiting. 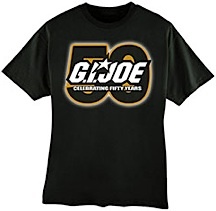 According to all trusted and currently available sources, other than the activities being planned for this year’s JoeCon 2014, nothing further of an “official” nature is being prepared to celebrate GIjOE’s 50th. 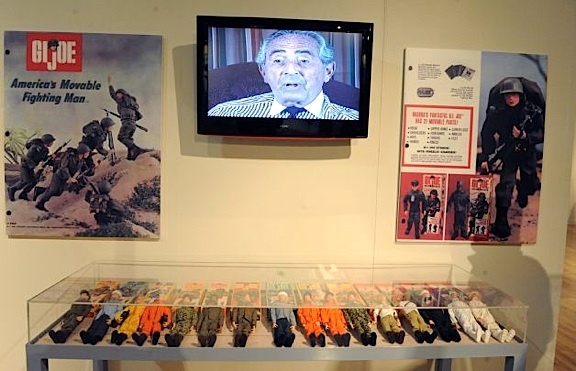 For simple business reasons, the “Big H” has decided to take a very laid back attitude toward GIjOE’s anniversary, and that’s just a fact fans will have to live with. But we can still REFUSE—to forget. Go, JOE! Who ya gunna call for 1:6 scale cloth patches, decals, AND—free contest prize giveaways? TJR: We see you’re holding another contest. Why so soon? 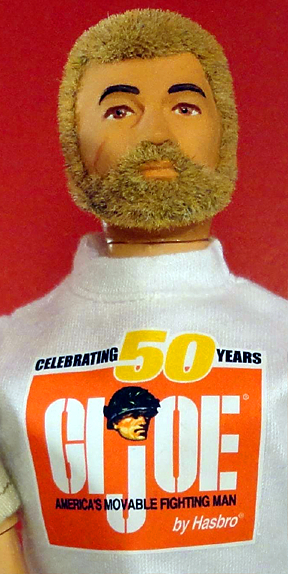 Didn’t you just give away a brand-new Captain Action on your PoP Facebook page last week? TJR: Sounds like you enjoy spreading that “Joe Karma” around. Could you tell us more about this new event? 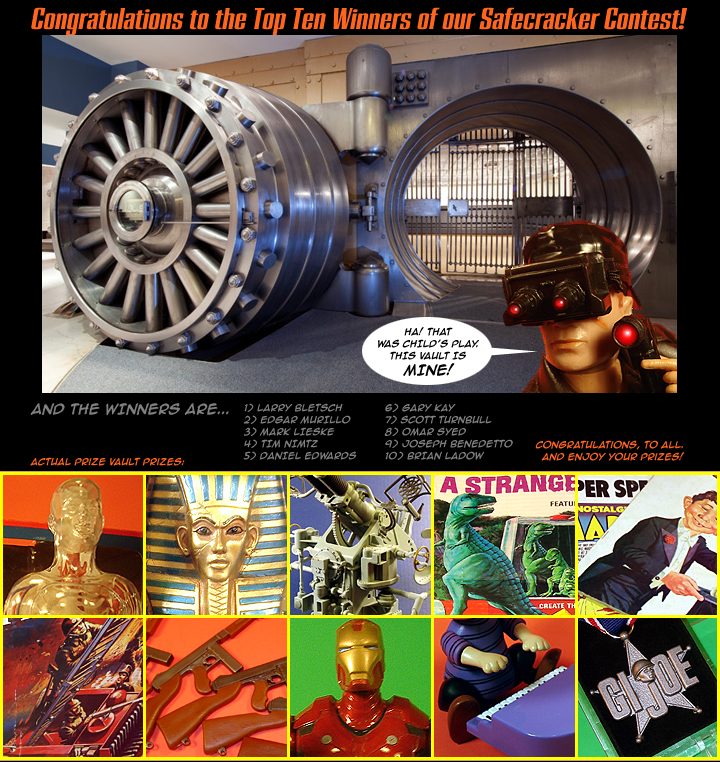 This graphic from the Patches of Pride website shows their “Safecracker Contest” had not just one, but TEN winners. (Photo: Patches of Pride) Click to enlarge. TJR: Your company has built quite the reputation for giving away free prizes. What other sorts of contests do you hold? TJR: Finally, could we possibly share the first panel of your “Christmas Caption Contest” with our readers? 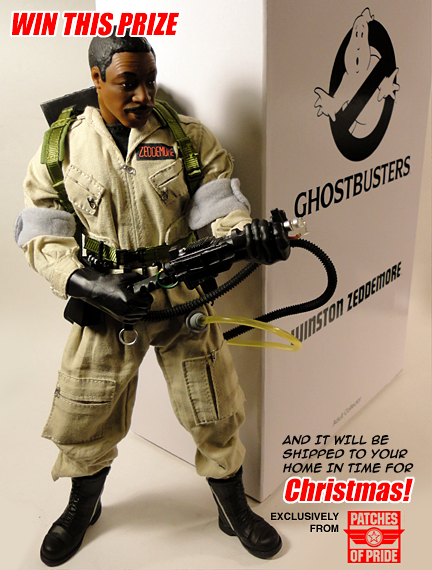 I’m sure there are many clever 1:6 fans out there who could write the missing punchline for you and would love to have a chance to win that great Ghostbusters figure. Bottom Line: With all their contests and the large number of free prizes being given away by Patches of Pride, it seems like a “no-brainer” that 1:6 fans should keep the company’s website bookmarked and pay them regular visits. We recommend that you also “like” PoP’s Facebook fan page HERE so as to keep an eye on their daily activities.